Isco is not having the best time at Real Madrid this season and things seemed to get worse for him last night, according to reports in Spain. Recently linked with Arsenal, Isco has struggled for playing time under manager Santiago Solari since he took over at the Bernabeu earlier this season. However, the Spain international did get a rare start last night in the surprise Copa del Rey defeat to lowly Leganes. 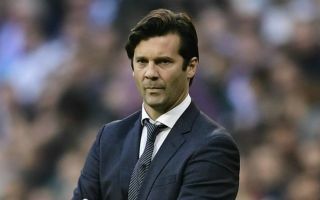 According to Don Balon, however, Isco blanked Solari when he was taken off in the 68th minute, heading straight for the bench. The report suggests Isco can feel a bit aggrieved at being the one selected to go off when others perhaps looked more tired and less effective on the pitch. Arsenal will surely want to take note of this situation following recent links with the 26-year-old attacking midfielder. The Independent recently claimed the Gunners could try landing him in a swap deal involving Mesut Ozil, who has fallen out of favour under Unai Emery this season. At his best, Isco does look a player who could replace Ozil and even be an upgrade on the German at Arsenal, though the move also looks like it could have its risks. Don Balon have also recently claimed Arsenal would be willing to pay around £62million for Isco.